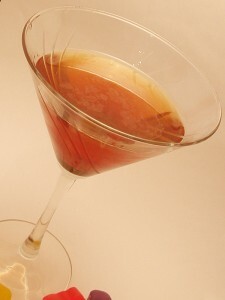 Combine the vodka and creme de cacao in a cocktail shaker with ice. Shake well then strain into a chilled martini glass. Carefully a teaspoon of chocolate syrup and cherry brandy. Don’t stir these in, just let them settle within the glass.